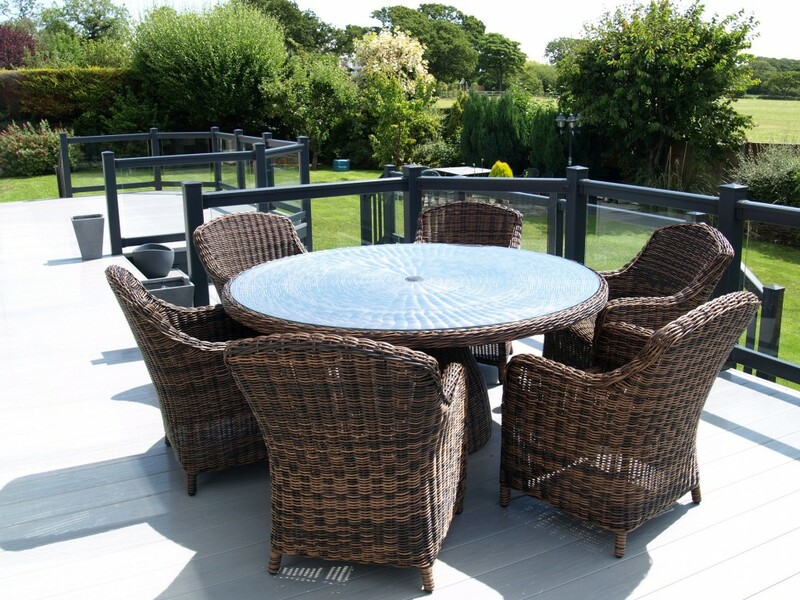 A luxury deck built onto the back of a large family home over looking the Dee Estuary in North Wirral. 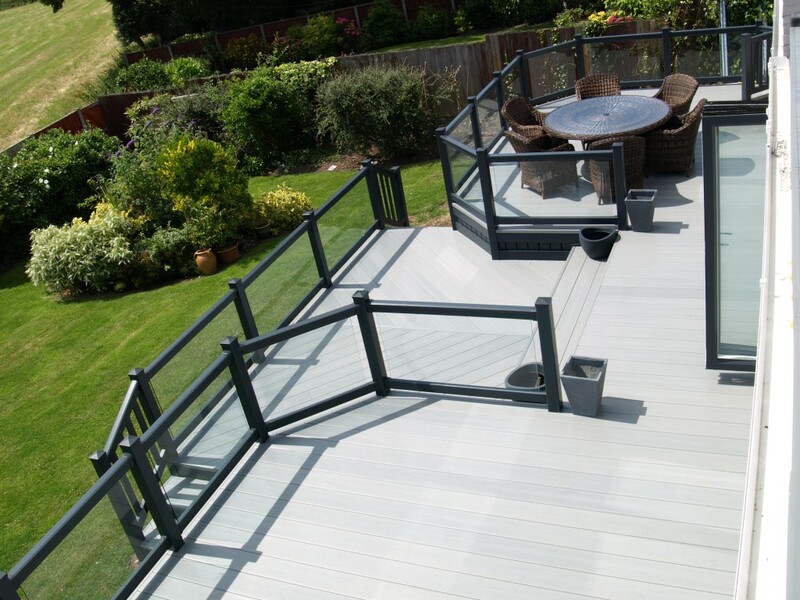 The Beaumont family commissioned a Fensys installation partner to supply after Fensys presented a deck design based upon practical family usage of their outdoor living space. 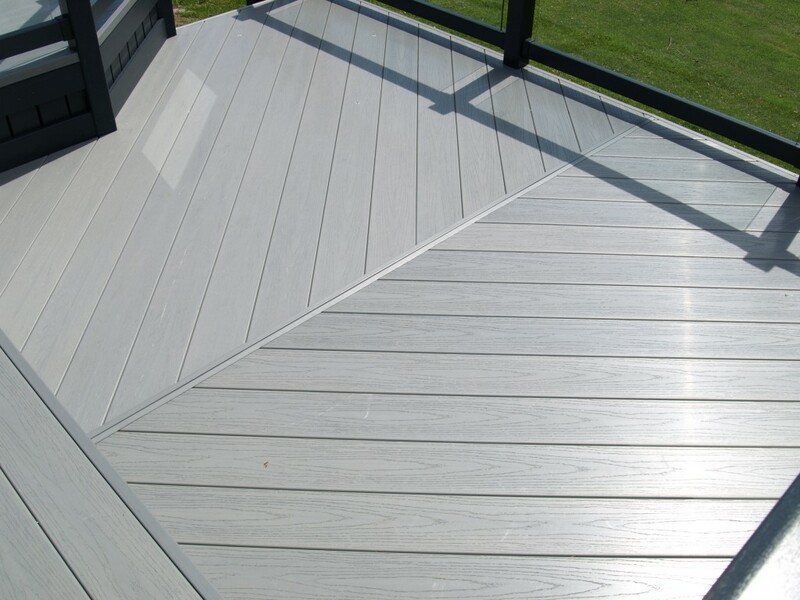 The deck was designed with 5 distinct areas. Up stairs leading out from the main bedroom a glass bordered balcony looking out over open countryside and the Dee Estuary. Back downstairs an outside alfresco dinning area accessible through bi-folding sliding doors from the family kitchen. The family plan to add a large BBQ to this area. A large outdoor relaxation space where soft seating will surround a raised fire pit. Bi-folding sliding doors open a family dinning room onto this space. The lower retreat. Set 400mm below the main deck area, this space offers shelter from the wind extending the number of days reading or relaxing in the sun. And last accessible from the main exit bi-folding doors a walkway and set of wide steps that connect all of the other 3 areas together. 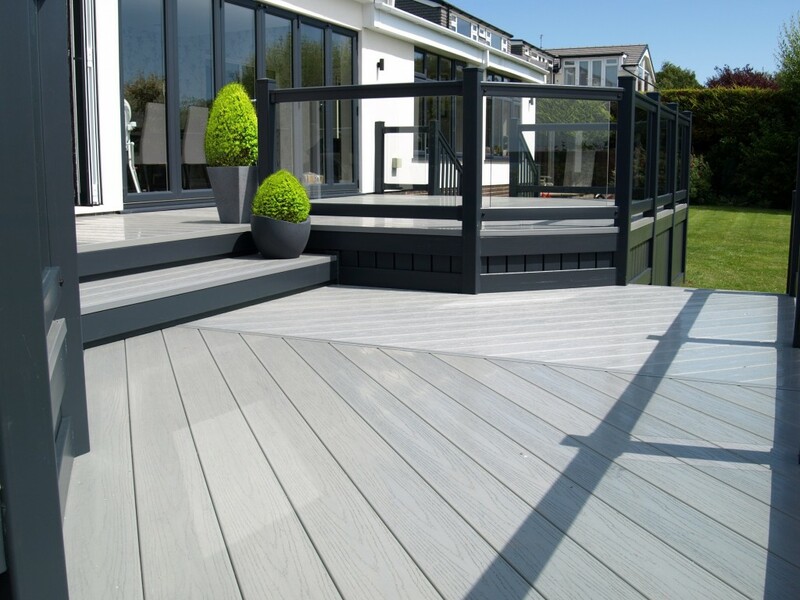 The specification includes a fully galvanised long life sub frame, Gayle Grey UPVC plastic steel reinforced hand rails finished with toughened 10mm glass panels and Fensys Premium Excel Driftwood 100% polymer dual grain deck board. On completing the installation Mrs Beaumonts feed back was clear to understand.